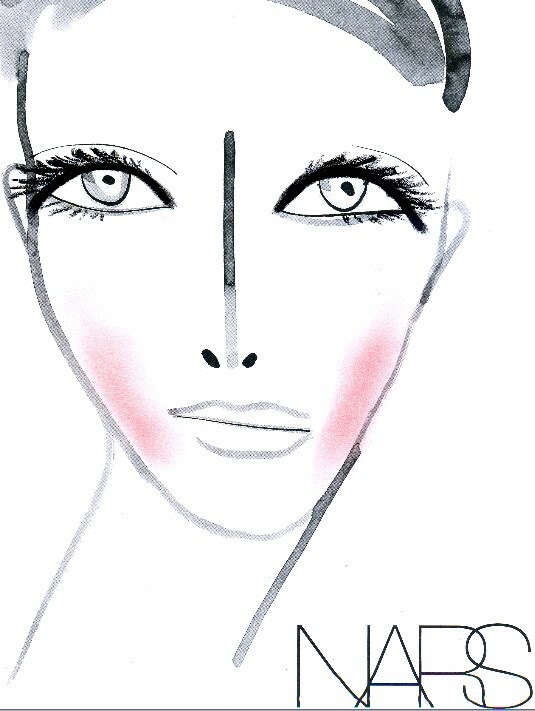 >There are few things I love in this life more than Nars and Marc Jacobs* so imagine how excited I was when the face chart from this month’s Marc Jacobs NY Fashion Week show arrived in my inbox. As is usually the case with fashion week, most of the products used are from future A/W collections but you can achieve similar results with current products. Please excuse me. I must pop to the new Nars boutique on Bleeker Street – mere DOORS away from the Marc Jacobs store aka, my happy place. Sigh. *I don’t care what that says about me. I like things.